Hey, Happy Birthday - we're almost twins! SDP had its 3rd birthday on 1 April. Little sister! Congratulations on three years! But more than that, thank you for sharing so much of yourself and of your city. Here's to many more photos from you! Well done and Happy Birthday. I know how much work you have put in to get here. 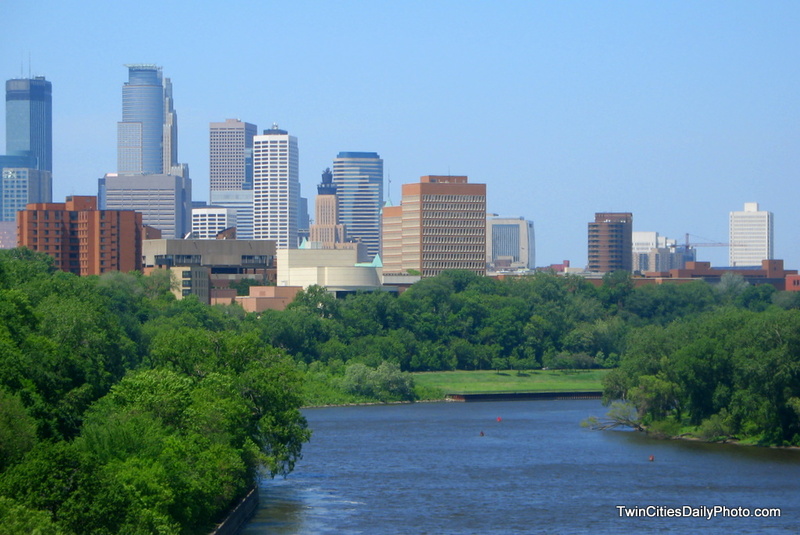 I have a good friend lives St Paul works at Thomsonreuters so we discuss stuff I see on Twin Cities Daily Photo. Have a happy belated birthday party. Today, AntiguaDailyPhoto is also celebrating its third anniversary. I am glad to know there are friends in the Daily Photo Community who have supported our efforts along the way. Keep up the good work. Congratulations on your 3rd anniversary! It is quite an accomplishment. This skyline in this photo looks so perfect, it almost looks like a painting.